Conversations regarding disease have always been colored by an ‘either-or’ mentality. Either we are healthy or we are sick. With the advent of numerous autoimmune illnesses having questionable causes and few count-on-able antidotes, we now have a significant part of our population living in the grey area; having a full life while managing the challenges of a high-maintainence body. These postings are my way of beginning to de-pathologize disease. 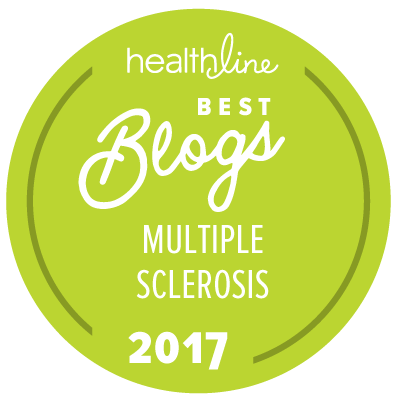 I was diagnosed with Multiple Sclerosis in 2000. I have been a working artist for 25 years. I graduated with a BFA from The Center For Creative Studies, College of Art and Design in Detroit, Michigan. I began working first as a textile designer creating hand-painted fabric for interior designers and also for the fashion industry in Boston. In 1987 I moved to Santa Fe, New Mexico and found home. I segued into oil painting on highly textured surfaces always inspired by the local landscape and exhibited my work successfully for many years. The diagnosis of MS was shocking as my body has always done what I wanted it to do: champion gymnast as a young girl, lots of Iyengar Yoga as an adult. The images I use to complement the writing are drawn from my own work over the past 25 years. As my body becomes more constricted my heart seems to widen and want to reach out more than I have done in the past. This presence of both an opening of my soul and limited physical movement makes me wonder what the definition of ‘health’ really is? These writings are more of an invitation than anything else; to myself to come forward with a softness, strength and vulnerability, and to you as the reader to witness, perhaps be touched in some way and come along with me as we all decide what is REALLY essential to thrive in our changing world. My name is Nick, a 52 year old living on the Gulf Coast of Florida. I live with my lovely wife Carmela - daughter Amy (when she isn't at FSU) and son Zachary, while our daughter Ally is living her life outside our home with her husband Craig. 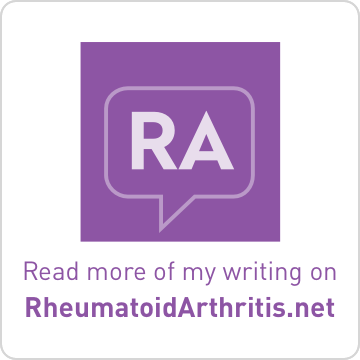 I am living with Secondary Progressive MS - having first been diagnosed in 1998, while working/living in Waterloo, Belgium. I'm still mobile - combining my walker, scooter & hand controls and crane lift on the mini-van to get around. I get upset with the MS, though as is my nature, I turn each obstacle into a unique opportunity to grow and learn - and hopfully share in a way that all can relate to. Primary Progressive Multiple Sclerosis Officially diagnosed on October 7, 1994 amazing how you never forget that day like an unwanted birthday it comes back to haunt you every year. I've been in a wheelchair for the past several years more than I care to remember and if it wasn't for my spouse well probably wouldn't be here. I have a bachelor's in English Liberal Arts and a Minor in Creative Writing. 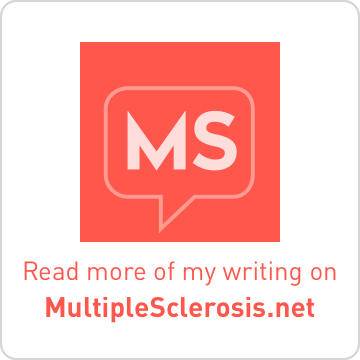 In April of 2008, I was diagnosed with MS. I always said I wanted to write a book someday, and I try to journal, but I detest writing by hand. Typing is much faster, and thanks to a lot of solumedrol, I can type again. I think this will be cathartic for me and hope this will help other people living with MS.
Yoga can be done by anyone, in any shape, in any condition as long as you can breathe- YOU CAN do Yoga. Show up to the mat, assess your body & mind at that moment. Learn how to adapt YOUR practice to best suit YOU- the practitioner! Nick has been an MS advocate since 2000. 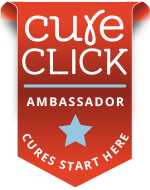 What is a multiple sclerosis advocate?_______________________________ An MS advocate has the courage to take action and do something about the many problems in the MS community. Taking action, whether we do it alone, with others in our community, or with support groups, is empowering. Those of us who have the power to fight must do so for those who are no longer able to fight for themselves. Ok, I’ve decided to make this my MS blog as it’s not really something I like talking about on facebook but I would like some kind of public space where I can rant about all this rubbish that’s on my mind. I haven’t actually had a positive diagnosis yet but basically it looks like I have the condition. Although I think it’s probably been going on for a couple of years now, I didn’t actually realize until January of this year. It’s literally as if I woke up one day with multiple sclerosis! Movie writers would never dream up a fairytale of two people with multiple sclerosis falling in love and living happily ever after. But Jennifer and Dan have been living this truest of love stories as a married couple since 2005. Combined, Dan and Jennifer have taken on this chronic illness for more than 20 years. Jennifer was diagnosed in 1997; Dan was diagnosed two years later. She has secondary-progressive MS, while his is relapsing-remitting. They met at a special National MS Society program called “Finding Your Buried Treasure.” Jennifer was one of the small group leaders at this daylong program intended to help people with MS rediscover the goals and dreams they’d lost sight of in dealing with the rigors of everyday lives. Thanks for keeping up with the network. I still read time to time even though I have not been really "posting".